I want to give people another choice," says Adam Bainbridge, the artist who records and performs as Kindness. "There's a lot of great, direct contemporary-sounding pop music to choose from, but even the most mainstream of mainstream audiences might also want something that sounds different from time to time. I still love and appreciate pop music, but I'm happy to leave the people making it to get on with their thing. My motivation is: 'What do I feel I can do better than anyone else?' I hope Ive made that record. Happily, he has. 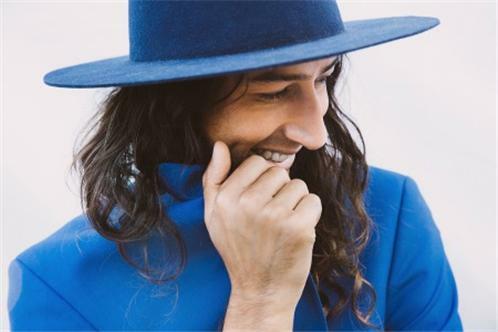 On Otherness, Kindness has fully honed his talent for taking in myriad influences and making music that sounds utterly new, perhaps even timeless. The album offers the thrill of accompanying Kindness as he stretches out into a thousand new places, but it also has a message at its heart: In a world where one can make music, in virtually any style, using software alone, we are losing sight of how special it can be when artists get together to blow some air around a room. Otherness is about the embrace of the spontaneous, about the natural and verifiable magic that occurs when real musicians get together to make music. Listening to Otherness, you're made aware again and againby a noise, a note, a sound, an atmospherethat this is real people interacting with each other, each one shaping the song in a way that one person left to their own devices couldn't possibly match. Otherness is Adam's vision, but it's a collective vision. On the albums opening track, World Restart, Bainbridges vocals remain in the backing chorus. Kelela and Ade sing the lead parts. The song rides the sort of lithe and loose horns (by Finn Peters) you might hear on a Fela Kuti record, but they're tethered to a fat boogie bassline and Bainbridge's own rich percussive clatter. The albums first single, This Is Not About Us, allows a circular, sticky piano figure played by Bainbridge to slowly melt into this gorgeous choral haze. Who Do You Love ?, written and sung by Bainbridge and Swedish pop star Robyn, embodies one of Otherness most rare and desirable qualities, that of surprise. Melodies and signatures arrive and settle and then shift inexorably as instruments drop in and out. 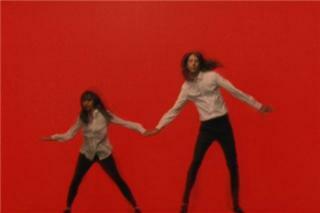 As Kindness toured behind his celebrated debut, 2012s World, You Need a Change of Mind, the shows got freer, more chaotic ("and more ridiculous") as time went on. The experience of being among musicians locked together making dance music was liberating. Bainbridge knew that half the time they werent singing perfectly, or dancing perfectly - pitch cant be perfect when youre throwing yourself around and jumping into the audience - but there was always communication, togetherness. That's far more important than some dry sonic perfection. Recently Bainbridge read an interview with Kate Bush where she talked about her realisation that many of the things that people like most about her songs the mistakes, the human flaws. "I like it when you can hear the metronome in the background," Bainbridge says. "And some guy screaming with frustration because he couldnt land his run on the saxophone. There's a vulnerability to making music that is too precious to lose." For The Young presented a different sort of challenge: How to take Moon-Light, a track from Herbie Hancocks 1985 collaboration with Gambian kora player Foday Musa Suso, and build upon it while respecting its integrity. Bainbridge had found the piece online and had started to listen to it over and over again, drawn in by its delicateness. Then he went to New Orleans for a session and found the record almost immediately, staring up at him from the racks of a back-street record shop. "I thought, 'thats a sign'," Adam says. So he took the LP back to the studio, sampled the track and promptly forgot all about it. Six months went by before he thought it might be interesting to work further with the piece. "I wanted to give it another layer of communication through a vocal. I hoped a whole other audience could discover it while not even realising what they were discovering. I mean, its quite an intense thing to present to the pop world! 'Hey! Heres a completely out of control jazz keyboard performance with a repeated kora melody: how do you like that?'" So Bainbridge had to write a letter to Hancock to ask his permission to use the sample. The legendary pianist generally says no, but in this case he said yes, and the resulting piece is (currently) Bainbridges favourite new track. Here was a song that came from the unexpectedly potent combination of musicians, one he didnt really want to touch, but still it unfolded itself before him. "It developed an extra layer of intensity," he says. "This wasnt really a song I wrote, it just came out of me somehow." And that, in essence, is what Otherness is all about: each person reaching in to share something real that perhaps they themselves didn't know was in there. Making - and listening - to music should be a profoundly moving experience, but we have to be willing to share something of ourselves to take part. And if you can't remember the last time you did that, then Otherness might just be exactly what you need.